Violinist SooBeen Lee has been called “Korea’s hottest violin prodigy” (Hancinema). 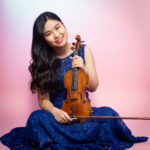 She has already appeared as soloist with every major Korean orchestra, and in 2019 she will give a recital at the Kennedy Center in Washington, DC. Pianist Aristo Sham has already dazzled audiences on five continents, in countries ranging from Singapore and Argentina, to Slovenia and Morocco, to China and Iceland. Now, Mr. Sham has won First Prize at the 2018 Young Concert Artists International Auditions at the age of twenty-two. 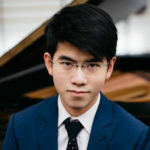 At the Young Concert Artists auditions in New York in November 2017, pianist Do-Hyun Kim was selected as the winner of the Korean Concert Society Prize. He will perform a KCS-sponsored recital in Washington DC in 2018. 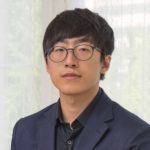 Do-Hyun Kim, 22, studied at the Cleveland Institute of Music, where he earned his Bachelor’s degree under the tutelage of Sergei Babayan.